A D.O.G.S and Sugar Bear Designs collaboration for charity. It is my pleasure to announce a D.O.G.S and Sugar Bear Designs collaboration for charity. 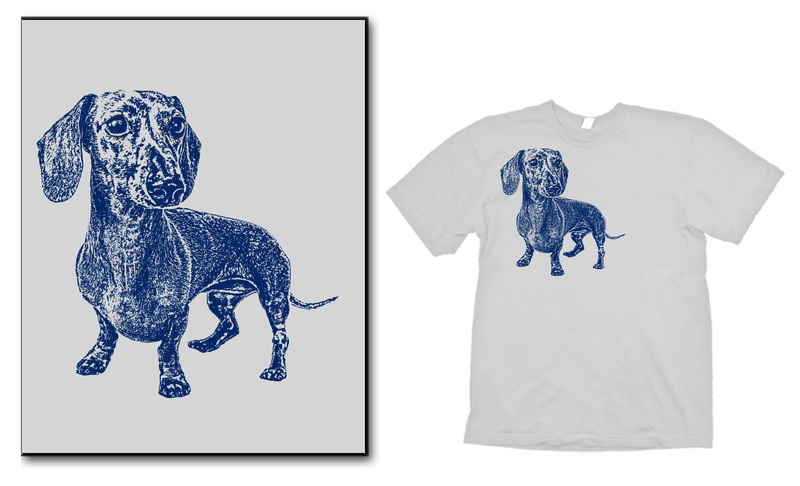 I joined forces with fellow photographer Kristin Adams to create the premiere DOGS T-shirt. Adams took an original image of mine and created this limited edition T-shirt. The shirt is a canvas made in the USA unisex tee, and it is our gift to anyone making a tax-deductible donation of $40 (which includes shipping and Paypal fees). We only produced a total of 50 shirts and when they’re gone, that’s it. You can only get this shirt here, so don’t miss out. Get yours today. The shirts are in transit from Colorado and will be in California this Friday; we’ll begin shipping them on Tuesday, May 28. These are the sizes and quantities the charity is offering. They will be distributed on a first-come and first-serve basis. If your preferred size is out of stock you’ll be contacted for an alternate size (if one is not already indicated). 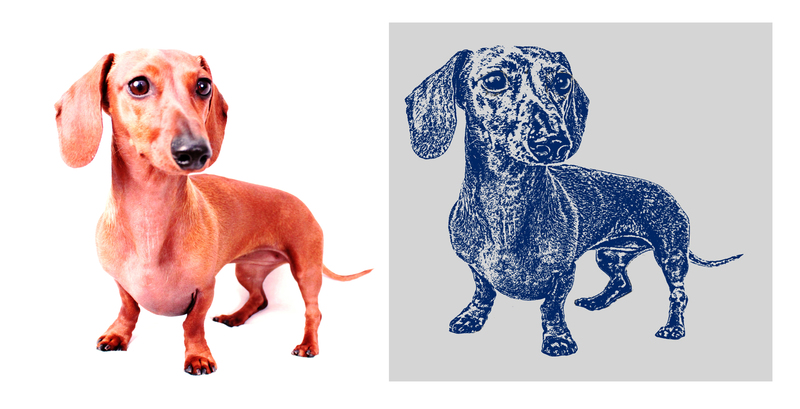 After much consideration and debate, the featured dachshund is Frankie, the red smooth dachshund I photographed in 2011 and again recently. What do you think?! Do you like it?! Its arrival is perfectly timed with Father’s Day (June 16) – hint, hint. Make your tax-deductible donation today by clicking here, and have your shirt by next week. 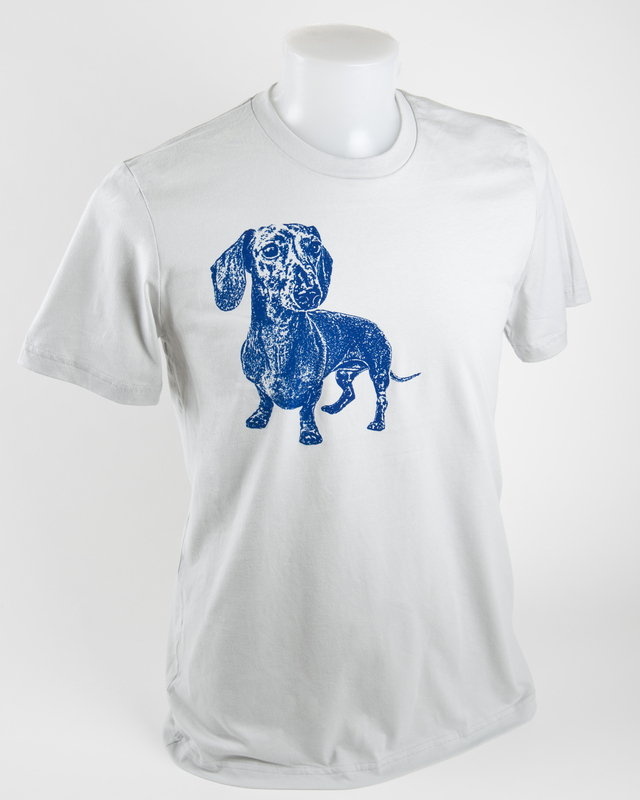 This entry was posted in Uncategorized and tagged #charity, #dachshund, doxies. Bookmark the permalink.